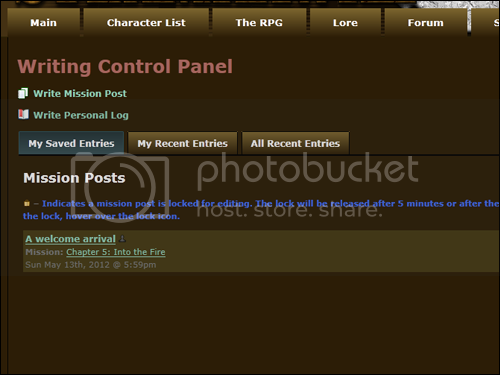 When your application has been approved, you can log in to the Control Panel. This is where you can change your user info, your character biography, send private messages and write posts. There are more options here you can take a look at, such as the email notifications. It is recommended to keep email notifications on for saved posts and published posts, so you can easily read updates even if you can't log in to the site. You can write a post together with other players. To select which authors are included in the post, you can click on the bar at the top. A drop down menu will appear, and you can click on the characters you would like to write with. You can also write part of their name and the list will sort itself for you. You also need to add yourself to a post as author. Don't forget this. Start writing your contribution in the large text field. Make sure your ooc (out of character) comments are clearly set apart from your story. 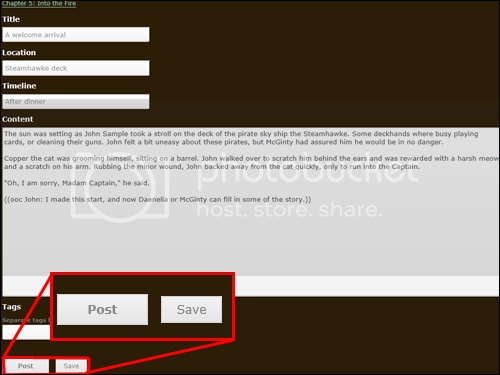 While writing a post with more writers, you can save your progress by clicking on the save button. This will send out a notification to the included authors, who can then add their own writing to the post. While the post is still a work in progress, only you and the other authors can see the post. To add the post to the chapter, one author must click on 'Post'. Posts become canon when they are posted or published. Only click "Post" when you are ready to post the story! 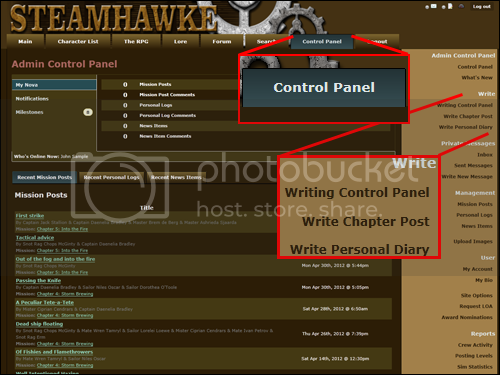 The writing control panel is where you will find an overview of your posts in progress, your written posts and all other entries. If a post has a lock in front of it, it is being edited by another writer. You can't edit a post while another author is making edits. For a complete overview of all the pages and possibilities of the site, see the Nova User Guide.